You totally deserve to sleep in on Saturdays. Sundays are usually my "sleep in" days but unfortunately, 7:30 is sleeping in to me. I also get up early during the week but thankfully, my body is used to it! Your rice krispie treats look great, I love the addition of the Oreo's. Perfect twist on an old favorite! 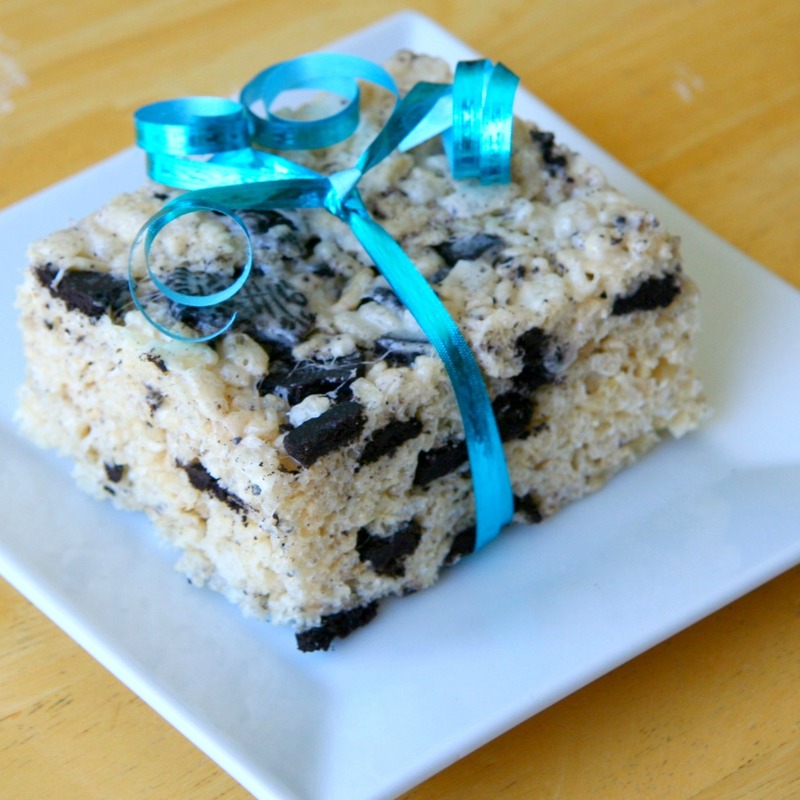 I've never heard of Cookies & Cream Rice Krispy Treats!! Great idea! Great idea, mixing two favorites into one. I still have some oreos left but not for long. Thanks for sharing! You just totally improved a rice krispy treat! I long for the days of sleeping in! I have a 6 year old who is an early riser no matter what. I am waiting for the teenage years when he will want to sleep! I always sleep in on saturdays, only day we can sleep late. I even post on my fb not to wake us. Lol! These look so good. What a great idea to make them over. Love this addition to rice crispy treats! My boyfriend does the same thing sometimes! Reads his phone until I move enough to consider me awake :) I think that he would love these rice crispie treats though, cookies are cream are so good! What more can I say other than YUM!